Acquired Book By: I am a regular tour hostess for blog tours via Cedar Fort Publishing & Media whereupon I am thankful to have been able to host such a diverse breadth of stories, authors and wonderful guest features since I became a hostess! I received a complimentary copy of “Swan and Shadow” direct from the publisher Sweetwater Books (an imprint of Cedar Fort Inc.) in exchange for an honest review. I did not receive compensation for my opinions or thoughts shared herein. I must admit, when it comes to ‘after canons’ and ‘re-tellings’, I’ve started to carve out my own curious niche of literature over the past few years as being a book blogger has offered me the opportunity to find stories I might not have realised were being released. This particular story was one of a small handful of stories I caught sight of on Cedar Fort Publishing & Media’s Edelweiss Catalogue pages at the end of 2015. Shortly thereafter I found Ms Olsen and Ms Ferguson (of “By the Stars”, see this guest feature) on Twitter and it was then, I discovered that both of the authors were contacting me to see if I would be interested in reading their respective debut novels. It felt quite kismet as I was meant to read “By the Stars” prior to “Swan and Shadow” as I booked my reviews for these stories in the order in which I discovered them (it happily had worked out that I could!) except to say I was blindsided by a migraine which took me offline for nearly a full fortnight this month. Thus, the two reviews are being featured in reverse order – and I am working on the guest feature for Ms Olsen as I finalise this review, as I was equally taken by her debut as I was with Ms Ferguson’s. They each picked a particular plot of story which dearly interests me – one is a re-telling of an iconic story and the other is Biographical Historical Fiction rooted inside a war drama! The two authors also happily found out they were sharing a ‘book birthday’ and ‘release month’ debut and I am grateful I was able to become a part of their celebrations – as it’s the first time this has happened in the nearly 3 years I’ve been a book blogger! (blogoversary is on the 31st of March) The main draw I have with after canons and re-tellings (or outright sequels) is to see how a writer is going to re-envision what is known (or in my particular case, how they might re-inspire me to seek out the original lateron, as per my own track record, I have the tendency to read the re-tellings first! save Jane Eyre, which I am reading first – with four after canons; all of which is being featured in April!) yet make it their wholly original own creation. I like seeing how writer’s think outside the box, but also, bend genre and the craft of writing to their own will of insight. So much can be done with a story – from the back-story to the character’s journey to the under-threading of how their world knits itself together. I love the art of discovering authors who are taking risks and paying homage to original canons whilst changing things up a bit to create this dynamic ‘new variant’ of an older story. Notation on Cover Art: I couldn’t quite get the best impression of the cover art design until the book arrived by Post; then I was able to proper see the distinguishing artistic rendering of Aislin’s shapeshifting life lived as both human and swan. This was quite a beautiful way to evoke the hard reality of living inside two worlds whilst perhaps not feeling akin to either one whilst your betwixt and between. I have to say it brought the elements of her plight straight to light and it’s a great image! Aislin's curse is the standard fare: swan by day, college student by night, true love as the only cure. But does true love even exist outside of fairy tales? After having to cover for Aislin during her swan hours, Aislin's twin, Maeve, is willing to resort to anything from matchmaking to magic to see her sister live happily (and human) ever after. Kaki Olsen regularly contributes academic papers on zombies or wizards to Life, the Universe and Everything, a sci-fi/fantasy symposium originated at her alma mater, Brigham Young University. Her published works have appeared in such magazines as Voices and AuthorsPublish. Sometimes you just have to admit your insight falls short by half – therefore, the first person I thought of to help me understand the ‘canon’ of Swan Lake was to ask my Mum! Who quickly reminded me I knew more than I realised – especially in regards to the ‘White’ vs ‘Black’ characterisations – as I curiously could not sort out why each twin in Swan and Shadow was being preceded by this designation. Mum happily reminded me about Black Swan the super twisted film I knew I could never honestly watch but in effect in this instance helped me sort out the colour coded mystery – is it an original play on words to articulate the Yin and Yang? Is it a metaphoric variant of expressing good vs evil? Or is it a counter-balance of Light vs Dark? Maybe it’s none of the above and it falls closer to the original canon – but you have to keep your head open to possibilities when your entering into re-tellings and their new variant entrance into your imagination! We spoke a bit about Swan Lake but honestly, Mum loved hearing about the opening chapters of Swan and Shadow which of course prompted me earnest desire to dive straight back into it’s pages – I had to put the book down due to exhaustion late Tuesday / early Wednesday morn, finding myself unexpectedly exhausted to continue until nearly the turning of Thursday morning! Here’s what I know, it’s a creative approach to broach the novel as an offset of the play, by clear cut clues of a ‘staged play’ and by keeping the pace of including these deferential definitions in place as you move forward. The first thing I noticed about how Olsen wrote this story is how she’s inserted us into the heart of the dilemma facing twins: Aislin and Maeve as their family has to work through quite the extraordinary set of circumstance involving Aislin! We are jolted into the heart-clenching worriment of a mother who doesn’t understand why her daughter (Aislin) hasn’t checked in by phone whilst Maeve for once is happy the focus isn’t on her directly as she’s sneaking home a bit later than planned. Their father is handling this as most men would through a very organised approach and tempering back his fears something might have gone wrong. It’s through Maeve we start to see how difficult this situation is straining the family but we also see a glimpse of their resilience – all within the *first! * 8 pages! The keeping holds securing Aislin’s change of clothes brought to mind two things: Sherlock Holmes (as he was quite infamous for having lockholds throughout London!) and The Time Traveller’s Wife (the film, haven’t yet read the book) wherein this is a shapeshifter story which parallels the necessity for planning ahead what your going to need as you ‘shift back and forth’ between your human and ‘swan’ forms; as the one thing that clearly cannot stay with you are your clothes! When I caught sight of the fact Aislin ended up in Montreal, I liked the cheekified moxie she gave the hospital and police, but also, how she relented and reached out to her parents! Aislin’s shifter condition was brought on by family lore which in turn led to a story about how someone in her family’s past fell in love with a sorcerer who did not take well to being slighted in love. It’s one of those generational surprises where all of a sudden a family tale that was past down finally has secured it’s place in the ancestral line but what does that mean for the reality of what happens next? For Aislin, it meant securing herself in being part human and part swan; for her twin, Maeve it meant having her sister’s back. The two twins are as different as day and night, rightly so, as they are their own individual but where Olsen excells in rooting the story half inside the fable is how consequential it is to re-examine your plight in order to understand the larger picture. One of the more interesting developing sub-focuses of the novel is the time spent with a therapist where Aislin attempts to talk about her thoughts and opinions. The therapist is good for her in one critical way – she’s much too willing to do what is expected of her than to think for herself and walk her own path. In some ways, I was thinking to myself as I read her therapy sessions this might have what prompted her initial rebellious act to begin with as a ‘flight or fight’ moment of instinct to simply ‘get away’ doing something out of the blue different from her norm. It’s a positive highlighting on mental health and a teenager struggling to understand her self-identity and have better confidence in her own choices. The only surprising turn for me was noticing her therapist disappeared – several chapters later, I realised it was because Aislin was gaining growth out of her own motivation to move forward but without needing the counseling. I do admit, I missed those sessions because she was thinking of things she generally did not allow herself to contemplate. Most of the story leans on her emergence from a young girl into a young woman about to take on the world and how her life changes are going to affect her as she matures. The shifting sequences were reduced to gainfully show her steps towards dating and socialising in ways that were not easy for her to do but necessary for her to gain traction towards her future. Maeve’s personality was in a shift of her own as I noticed early-on she was taking on the role of being a parent to Aislin even in a greater sense of urgency than their Mum and Dad. Their parents respected the path their daughters needed to walk in order to learn and to grow; even through mistakes that might come up along the way. Maeve on the other hand initially wanted too much control and one rule of life is to be adaptable to the unpredictable. What I respected the most about how the story unfolds is the raw honesty – the muddling of how life can become when your trying to sort everything out all at once: school, relationships, time commitments, everyday emergencies and family connections. Even fitting in an honest relationship with your twin is hard when your both moving out of adolescence and shifting into adulthood. Olsen gives such a good footing of where Aislin is right now in her ‘living story’ to inspire the readers who will pick up the novel and find a bit of hope by the time the last chapter concludes. Hope is worth everything in the end. Olsen is writing young adult fiction for the generation who celebrates this genre on a yearly basis – she’s writing realistic story-lines and giving honest to the point dialogue about how a character whose still sorting out their life is going to talk, react and perceive their world. It’s refreshing because this isn’t Upper YA nor is it more adult with leanings of YA; this is straight-up brilliant YA because it hones in on what is beautiful about #YALit. On Twitter, I mentioned ‘for shifter stories, this one holds salt’ which was my clever way of mentioning to my followers Swan and Shadow owns it’s narrative identity and the manner in which the story was told out of the imaginative lens of Olsen. It’s a phrase I suppose that is Southern in nature or it’s Northern in attribution; hard to say? I am Southern bourne from Northern stock, so it’s hard to differentiate which of my phrases is inherent by birth or ancestry! I might even have picked it up via a story – by book, film or television series, too. Truly, it’s a high compliment by me to the person I’m referencing it towards as it’s a nod to being representative of what ‘your hoping to find’ and loving what is being revealled therein. I mentioned this in regards to ‘shifter stories’ as I’m quite particularly particular about which shifter fiction I’m reading (if your familiar with this serial overview, you know which shifter first stole my heart!) as I like to dig inside narratives where there is a strong character journey but also, where the story befits the genre it’s being placed inside. If you can find a writer who has a good balance between invention, canon, character and story – odds are in good favour I will appreciate reading what they are creating! 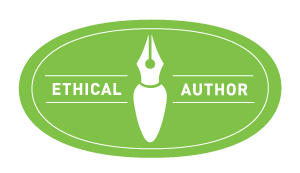 I’m particularly keen on finding stories that are able to stand out and give a hearty story which is not only enjoyable to read but grant themselves to including a purposeful meaning to their inner core of heart. I interviewed the author whose conversation will be featured on the 30th of April. The author’s Guest Post Feature wherein Olsen writes a personal response to my topic will be featured on the 25th of April. This #shapeshifter story has heart! For #shifter stories, this one holds salt!
. @KakiOlsenBooks I use it when referring to the fact it owns it's identity & realistically true to itself. In essence loving #SwanAndShadow! 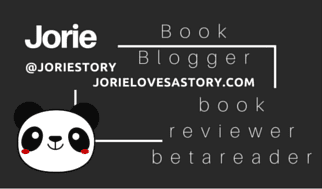 « Author Guest Post | Historical Fiction debut author’s novel is inspired by real-life events; thus inspiring Jorie to select a topic befitting the story’s heart! Lindsay Ferguson responds generously to my enquiry discussing “By the Stars”! Author Interview | Getting into the heart of sequel author Kaki Olsen’s writerly mind! 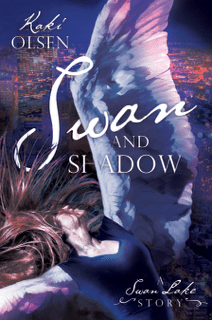 Author of “Swan and Shadow” a re-telling of ‘Swan Lake’!